is a former financial trader, now journalist covering economics, philosophy, and politics. He co-edited the book Collateral Damage: Global Crash Phase Two (2010) and has written articles for Forbes Magazine and The Salisbury Review. He is based in Budapest. How many currencies does the world need? Actually, let’s make this more concrete. 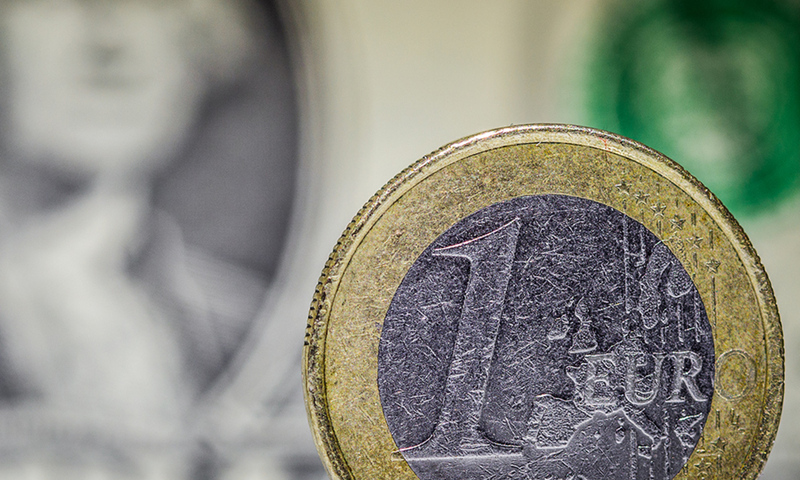 The euro was a colossal bet on the proposition that Europe, at any rate, needs only one. You will have noticed that the experiment is going badly. And why is that? There are two main theories, both widely voiced over the past couple of decades. One says that the currency needs more time, and that moves towards greater political integration (for example, a central budget across the eurozone) will make it work the way it should. The other says that the currency zone has basic problems of cohering and will, for vaguely described ‘cultural’ reasons, not work. The longstanding view of the British Treasury is that it’s unwise to ‘try to integrate economies at different stages in their business cycle’. This is a carefully hedged version of the second outlook. Yet there’s something slightly mysterious about both opinions. With the first, there is no consensus on why the eurozone has taken so long to bring its component economies into line. Greece and other southern countries might well be as corrupt and addicted to debt as some German politicians crossly claim, but wasn’t this precisely what currency unification was intended to fix? And as far as the second opinion goes, the very fact that Europe embraced a single currency in the first place tells us something about how well some of those individual national currencies were doing pre‑euro. Besides, it seems as though large unified currency zones ought to fly. The United States has one currency and it’s a very wealthy place. Russia, China and India all seem to make it work. How could a patchwork of different currencies be better? I intend to persuade you that, in fact, a patchwork of currencies has a lot to recommend it. Historians of money as diverse as J K Galbraith, Jane Jacobs, Bernard Lietaer, and Niall Ferguson have pointed out that most of history was multi-currency, with distinct currencies linked to cities not countries. This now tends to be forgotten. The one-country-one-currency paradigm, which actually dates back only to 18th-century English and French banking centralisation, seems to most of us the only way it’s ever been. And so we overlook the fact that our present disputes have some uncanny echoes from the past. The argument over euro policy between the Mediterranean countries and the pro-German group calls to mind a bitter 19th-century division in the US. The factions in the earlier case were the East Coast ‘Hard Money’ party and the Midwestern ‘Soft Money’ (or ‘Free Banking’) group. Bizarre as it sounds, their disagreement led to a financial-political satire, The Wonderful Wizard of Oz (1900) by L Frank Baum, which later got made into a children’s film. But the rhetoric from that 1880s and 1890s Soft-Money/Hard-Money conflict (‘You shall not crucify us upon a cross of gold!’, where gold stood for Hard Money) was as passionate as today’s split over the euro. The East Coast wanted – and got – a central bank controlling all US banks. The Midwest had – and lost – banks free to issue their own bills of deposit. Although all nominally denominated in dollars, wholesalers would discount each note differently based on each bank’s reputation for creditworthiness. And as Galbraith points out, Free Banking coincided with the fastest half-century of growth in the US, 1800 to 1850, still unbeaten. After the Civil War, financial centralisation moved on from the Free Banking regime of banks crashing in ones and twos all the time. Instead, all US banks started overlending in step for years (boom), collapsing together (crash), then underlending in step for years (depression). The Great Panic of 1873 was the first nationwide crash in that new pattern. In other words, the fastest ever half-century of growth in the US did not take place within a currency union. It was a multi-currency era, even if all the different currencies had the word ‘dollar’ printed on them. Such a result can seem anomalous only from the perspective that leads to our two diagnoses of the euro crisis. But there is another point of view. In the 1970s, the American/Canadian economist Jane Jacobs reached a radically simple insight. Her lifelong interest in urban history convinced her that cities, not countries, drive economics. Cities are messy, unplanned places where people who otherwise would never meet devise joint projects. Hence, Jacobs argued, all innovation happens in cities. It made sense, then, that each city’s currency should follow its business cycle. Forcing two or more cities to share one currency slowly pumps up one city and sickens the others. See southern Italy’s or northern England’s longstanding lag behind Milan or London, despite decades of subsidies. This focus on cities as the true engines of economics neatly explains both eurozone and pre-euro failures. European national currency zones were already too big – the eurozone made something already oversized even worse. The US is rich despite having one currency, and it suffers huge damaging cycles from being locked into that single currency zone. Long protected by exceptional rates of internal labour mobility (three times the rate within France), there are signs that US labour mobility is slowing, and a dollar-bloc handicap is becoming more visible. From the Jacobs view, the US, or countries such as Canada, Australia, Brazil etc, aren’t rich because they constitute one big currency bloc. On the contrary, they would be richer without it. Meanwhile social discontent is rising. It is not hard to imagine a world in which Americans see more of the troubles already engulfing the eurozone.